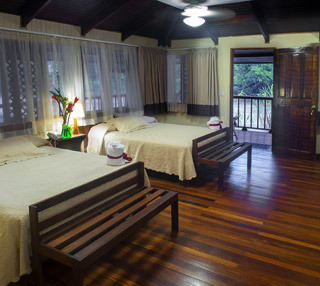 Our Costa Rica Rainforest Lodge offers beautiful, simple, and comfortable rooms tucked into the tropical gardens and rainforest, providing you a nice cozy place to rest after adventure filled days. 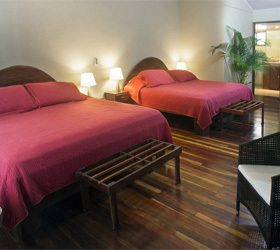 The river lodge has forty well-appointed rooms, five secluded bungalows, and a Casona Suite for families or small groups. 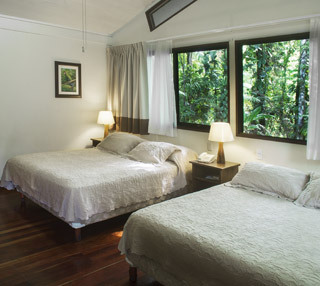 Selva Verde's Costa Rica eco lodge buildings are incorporated into the rainforest on elevated wooden platforms and walkways that blend in with the natural surroundings. The covered walkways allow guests to stroll and observe wildlife while staying dry during the rains. 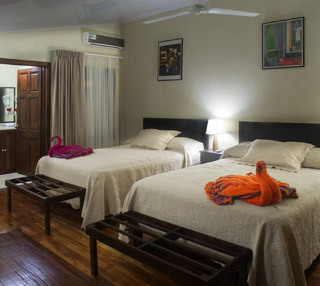 One or two guest, one queen bed, private bath and AC. 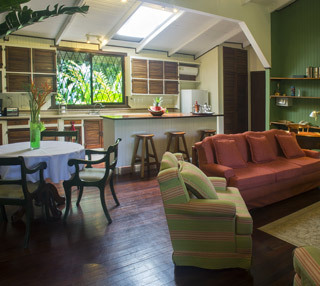 One to four guests with two double or queen beds and private bath. One to four guests with two double beds. Includes AC. Deluxe option for families/small groups in two bedroom suite with AC. 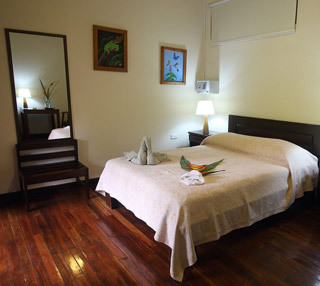 One to four guest, two King side Beds Rooms, private bath and AC.